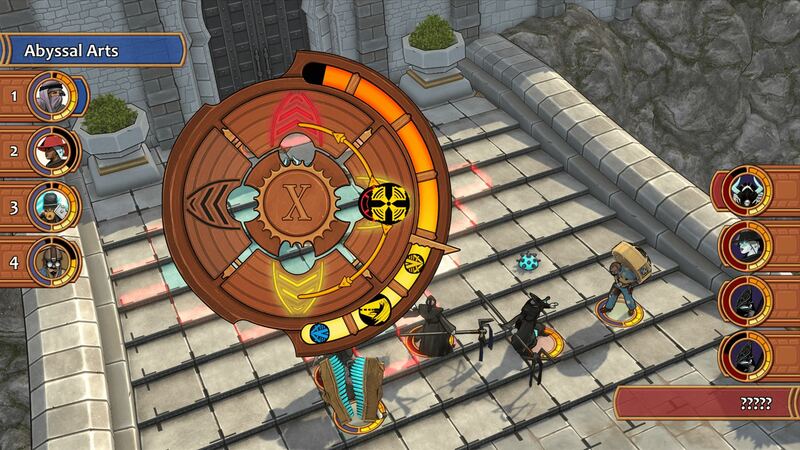 Get Ready to Spin the Wheel This Summer When ‘City of the Shroud’ Opens Its Tactical Combo-Based Gates With… a Living Story? Massive lies are often a direct route to trouble. Something City of the Shroud‘s protagonist is about to learn the hard way, retelling of recent events not quite as they transpired leading to… well, hero status, really. Now, this could obviously have been a great thing, if not for the fact that the city suddenly finds itself invaded by monsters, and… everyone’s relying on you! Oh boy. I don’t know about you, but much as I’d love to play the part of a hero, don’t really envy this one the job. Not one bit. Based on the trailer below, I do have high hopes for City of the Shroud‘s first chapter bringing plenty of fun when it arrives this summer though, however odd its wheel-spinning combo system may seem. If I’m perfectly honest, it doesn’t really make a lot of sense to me just yet. Could have sworn it was a turn-based affair initially, but as it turns out, not quite. The player does get to adjust the overall speed though, as far as to pausing the action to ‘enter combos’, so… I guess it’s… semi-turn-based? Whatever the case, it does look like a fun and different tactical experience, which is by no means a bad thing. Not one bit. What might however turn out to be, is the fact that we’re dealing with an episodic game here, a total of four episodes planned. You got to the city. You bribed the customs agent to get in. You helped a poor, old haberdasher who was being robbed – the only decent thing to do, really – and then this monster from another dimension came out of nowhere. None of these have even entered production at the time of writing, and there’s a pretty good reason for that: “each chapter is crafted based on the cumulative influence of every player’s choices and actions from the previous episodes”, as the developer, Abyssal Arts, puts it. What this means is that, much like in the vein of Telltale’s The Walking Dead, the choices you make in one episode will directly impact the future of the series. Or rather, I suspect the chosen choice (wait, what?) will be determined by whichever is picked by most players, as anything else would simply be impossible to build, no matter the resources available. On a related note, politics are a part of this game, and a rather large one at that, five separate factions all determined to defend Iskendrun – their home – whatever the cost! This is where the choice system comes into play, as depending on who players side with, future episodes may see a power shift, or even one or more factions completely destroyed. It all depends on who everyone sides with, and how they ‘play them’ (in a manner of speaking). Kinda makes me wonder just how Abyssal Arts are planning on dealing with players who sided with a faction that won’t be there in a future episode. Ah, so many questions! One thing we do know for certain is that online PvP will be a thing, allowing players to test their tactics against someone other than the AI in wheel-spinning glorious one-on-one encounters. May your combos be favorable and plentiful, in City of the Shroud! City of the Shroud will be available on Steam this summer with a $19.99 price tag, while Xbox One and PlayStation 4 ports are set for release in 2019.